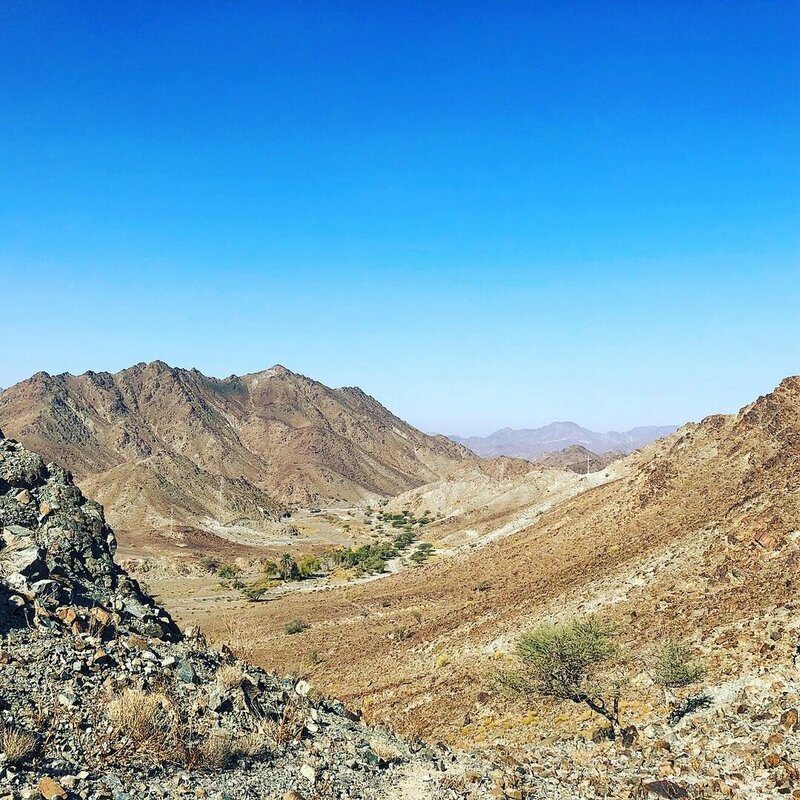 This hike is just off the Sharjah/Kalba Highway, 1.5 hours from Dubai. The hike is about 3 hours over varied terrain, up a bouldery wadi, down a plateau where you will see ancient settlements (the remnants of them). We will continue over the ridge for an amazing view of the Hajjar mountains, stop for a break and then loop around heading back to our start point.